I know there are many listings to peruse through now and it gets old trying to find that perfect vacation home. We are the actual owners and we do the cleaning, maintenance, and booking for this property and the others we own. We often have lift passes that can be used when our family and friends are not using them. There is no charge if they are available. 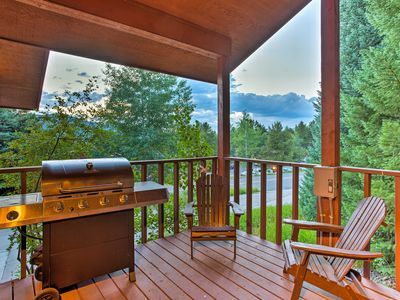 We live in Steamboat Springs full time and I doubt if you can find another owner in the complex that totally takes care of their property and does not rely on a management company to do so. We have had many guests that say they are tired of talking to management companies on a "rentals by owner" site. If you are one of those look closely at all we have to offer. We can charge less because we don't have to pay the 35-50% fees to a management company that nearly everyone one else does. Give us a try and see if we can't give you the best overall deal of any comparable property. Most of our guests over the past years have been repeats with some staying with us several years. 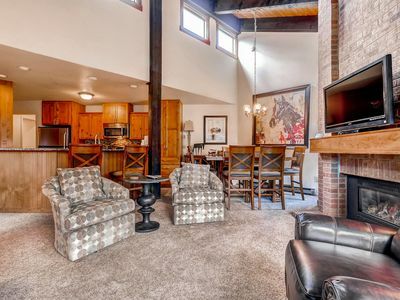 They would not continue to vacation in our home if it wasn't the best deal and location in Steamboat. Come see why our guests keep coming back. We have recently purchased another condo (vrbo #1185262) in this same building this year. It is a 1 bd/1 bth unit on the same floor and we are in the process of furnishing it and doing some work so it will be ready this ski season. If you have extended family that want's to join you or another couple/small family that you vacation with we can try to accommodate you both. 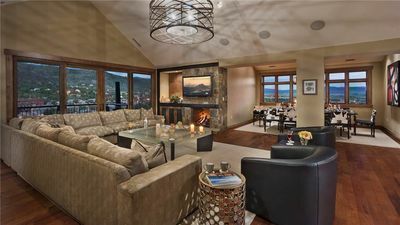 This condo was our second home before we moved to Steamboat and we have done extensive remodeling over the years. The kitchen and bath have hard surface countertops instead of the tile that is in so many of the units. The bathrooms have both been completely redone. 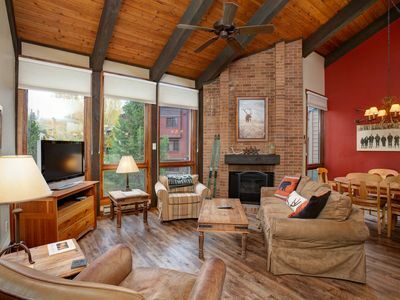 The furnishings have been completely changed out from the golden oak that is reflected in so many of Steamboat's rental condos. 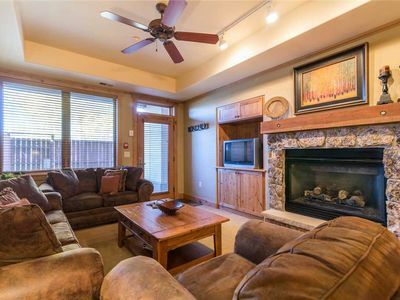 We know you will enjoy your stay in our home and be very comforable when not skiing the great snow we have here. Also, if I don't have family in during the time you will be here I can possibly have 2 lift passes available for you to use. These will be free for you to use during your visit if they are available and could possibly save you as much as $165/day each. Call or write to see if they are available during the time you want to be here. We can also get your group discounted lift tickets. The discounts range from 10% to 25% off of the discounted lift price depending on when you book and is the same offer that management companies get for their guests. Many management companies are running excellent specials this year and discounting their higher rates. We start out with lower rates than their discounted rates but if you find rates that beat ours then call us and see if we are able to beat what you have found. 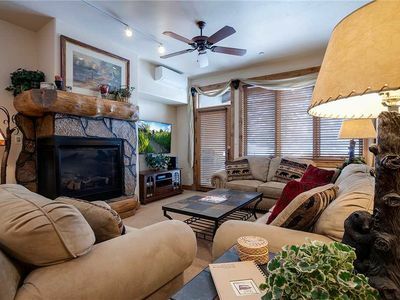 We have a beautiful and comfortable condo that is centrally located and will try to make your stay in Steamboat a memorable one. 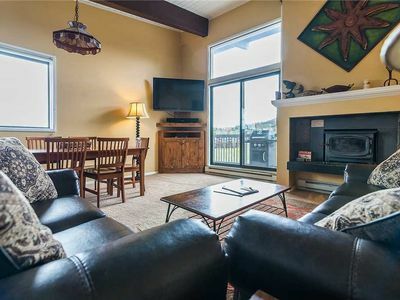 Enjoy skiing Steamboat's famous champagne powder or mountain biking in the summer while staying in our luxury ski-in/ski-out condominium located right in the heart of Ski Time Square. 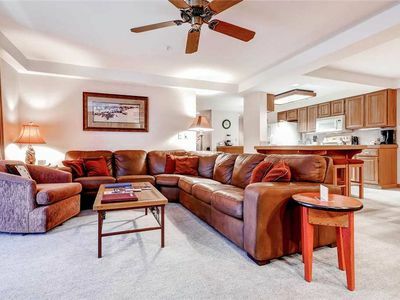 Our condominium is beautifully decorated and newly furnished. 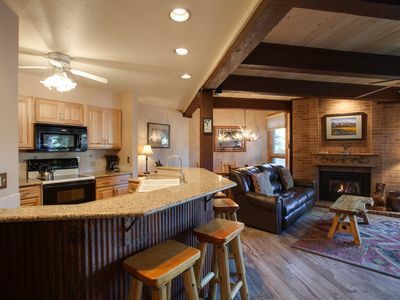 While staying with us you will find all of the conveniences of home. There is a king-size bed in the master bedroom and this condo has one of the few walk-in showers in the complex. The second bedroom has two twin beds. 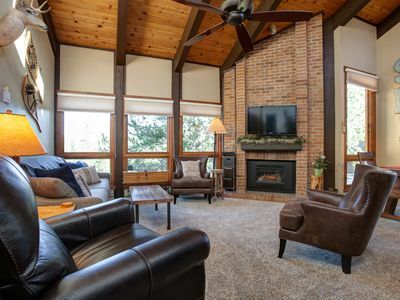 After a fun day on the mountain, relax on the sofa in front of the gas log fireplace or sit out on the balcony and enjoy the views of the mountain. 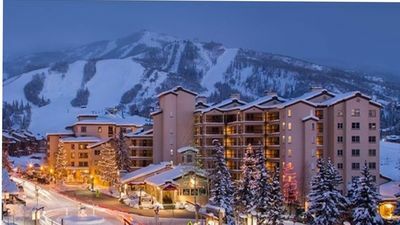 The Torian Plum is Steamboat Springs premier ski-in/ski-out location, selected as Fodor Travel Guides five-star favorite and number one by Conde Nast Traveler's reader poll. For your convenience, the unit has two-line telephones with a dataport and there is in-room, high-speed, WiFi. Located just downstairs, either out in the Torian Plaza or Ski Time Square, you will find numerous shops and restaurants all within easy walking distance. If you are interested in visiting our downtown area for ice skating, sightseeing, shopping, or dining, the complimentary on-call shuttle service at the Torian will be glad to drive you there during the winter season. 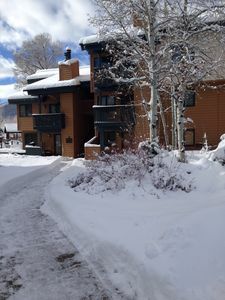 There are six hot tubs, a heated pool, a sauna, a fitness center, etc... for you to relax and enjoy when the skiing ends. These amenities are paid for through our HOA dues and are available to all guests, not just Wyndham customers as they would have you believe in their advertisement. We are able to offer this condominium at a rate at least 30% off of the normally advertised rack rates listed by the management company. 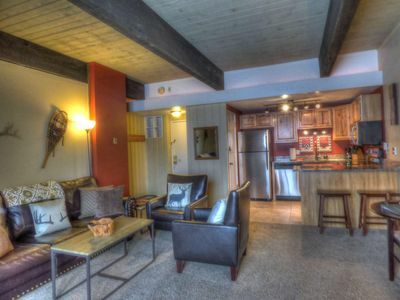 When you book with us you will get exactly the condo that you see in the photos. 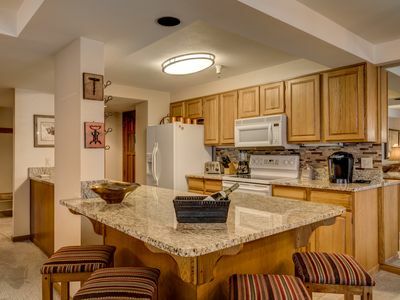 If you book through the management company, they will put you in the next condo in rotation and you could get one that was decorated in the 80's and has never been changed. If daily maid service and concierge are important then you might want to spend up to $400 more each night and book with the management company. If you want to save that money and still have all of the other amenities that our home has to offer then give us a call. 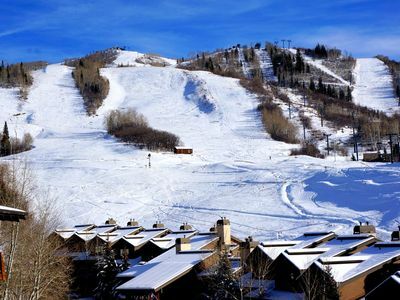 We live in Steamboat and we will be glad to help you with your vacation plans. LAST-MINUTE BOOKING SPECIAL! Book a 6 day or longer stay within 30 days of your arrival and receive an additional 10% discount! 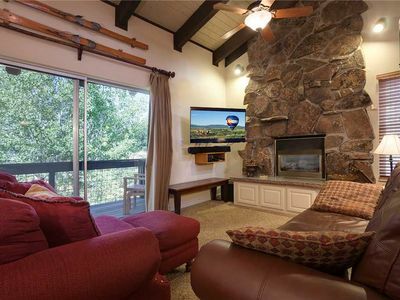 SE040 by Mountain Resorts ~ Mountain Views with Onsite Hot Tub! 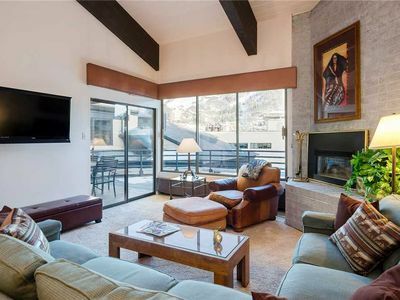 SE065 by Mountain Resorts ~ Updated Top Floor ~ Onsite Hot Tub! GSQ32 by Mountain Resorts: In the heart of the Mountain Village!! Walk to Everything!!! 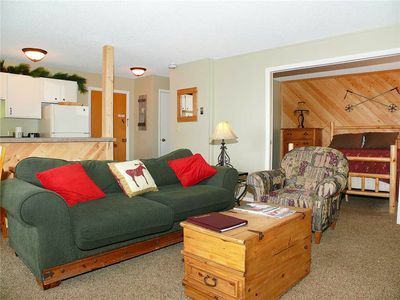 First Floor Unit , Great location for your Ski Vacation. 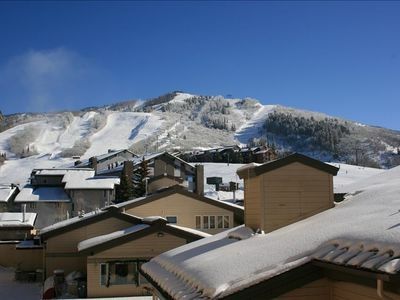 APRIL DISCOUNTS- SKI IN/SKI OUT 2 BED/2 BATH- LOTS OF SNOW!! 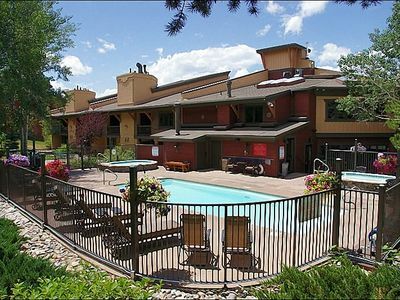 Slopeside Condo, Fitness Center & Pool/Hot Tubs! NEW! 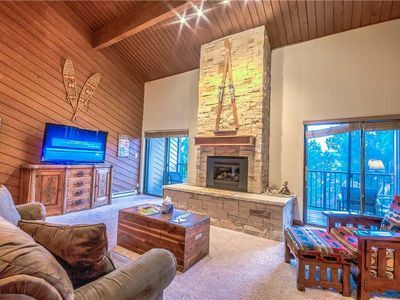 Steamboat Springs Condo w/Deck - Mins to Mtn!